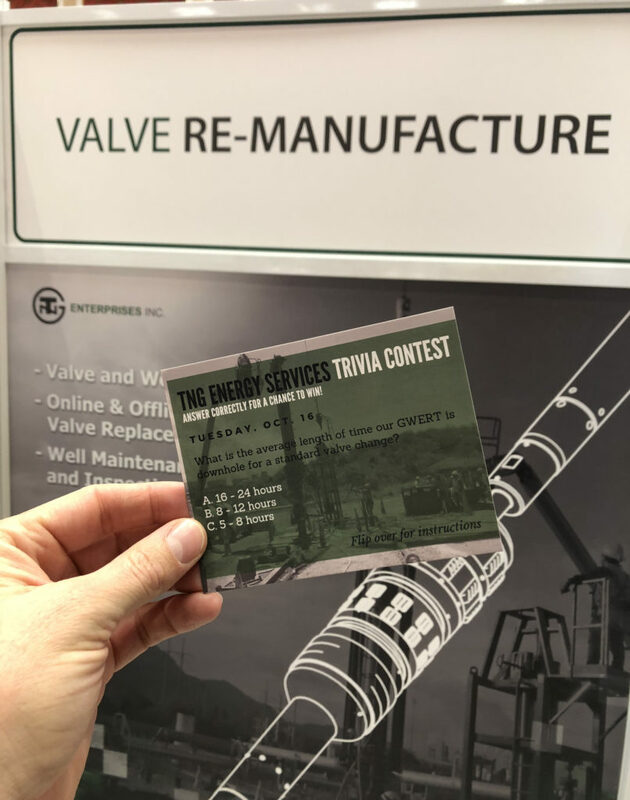 Did you know that TNG is the premier rigless valve replacement company serving the global geothermal market? TNG mobilizes our GWERT (Geothermal Wellhead Equipment Repair Tool) to any geothermal location and can safely set our packer without a rig, plug your well, replace your wellhead and or master valves safely and more efficiently than alternatives. 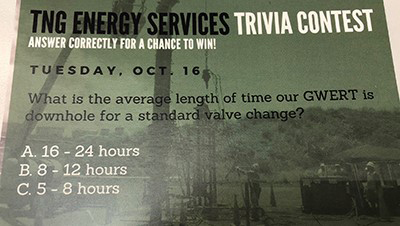 Tweet your answer to @TNGenergy or Post the Answer on the GRC Event App and Tag #TNGTRIVIA. Each correctly answered Tweet or Event App Post will be counted as an entry in the daily raffle.